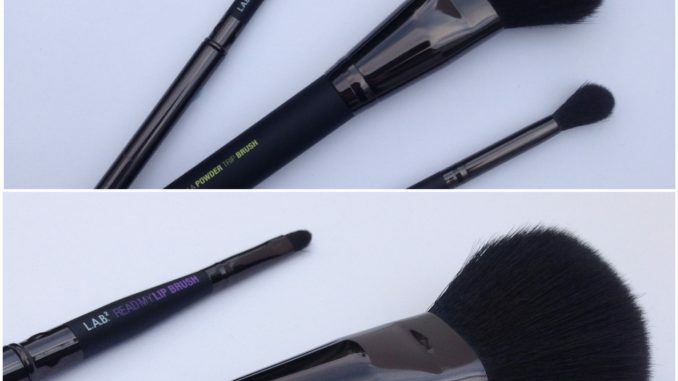 Today we’re taking a look at L.A.B.2, an innovative and affordable brush line featuring FiberLuxe Technology. What might that be when it’s at home? According to the brand, it involves using a type of unique fiber featuring a micro-studded surface which mimics the exterior cuticle of natural hair. The texturing process means that the brushes are soft (though not overly so), with a structured surface that’s designed to pick up more powder and distribute colour evenly. So why not just use natural hair in the first place? Well, natural hair is more porous than artificial hair, meaning that it absorbs more product and is therefore harder to clean. This isn’t such an issue when you’re applying powder make up, but it is if you’re applying liquid products, such as foundation, it definitely is. So the tip is – always use brushes with artificial hair to apply foundation. Cutely, the name L.A.B.2 stands for Live And Breathe Beauty (see what they did there?) These brushes are hypoallergenic; dermatologist tested and have no animal-derived components. The technology they use means that these bristles are less fragile than natural hair. As I was testing out the LAB2 brushes I gave them a good old tug and not one bristle came loose. Bear in mind that I do weightlifting at the gym and am stronger than the average bear. So I think we can safely say that these are pretty sturdy brushes which perform better than their price tag (from £5) might suggest. 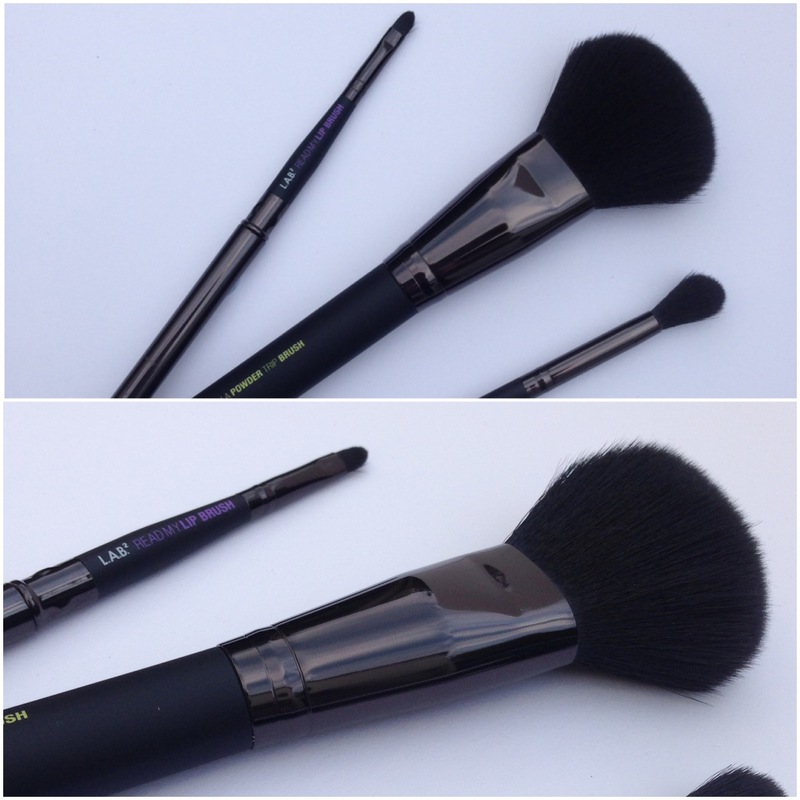 A medium sized, dome shaped brush for applying powder smoothly. The bristles were more densely packed than other powder brushes I’ve tried – you can definitely tell that something different is going on here. Definitely a superior quality brush. This is a larger than average eye shadow brush. Again it has a domed shape, this time designed to fit into the crease of the eyes and blend expertly. Both of these brushes have a soft, rubberised handle which makes them easy to grip and less likely to get covered in smeary finger marks. This doesn’t look like your average flat lip brush. It has a round tip with a firm point to help with precise application. I really liked that it has a protective metal cap so you can use it on the go without getting lipstick all over your make up bag.